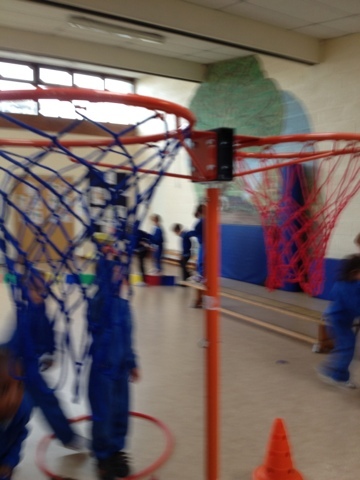 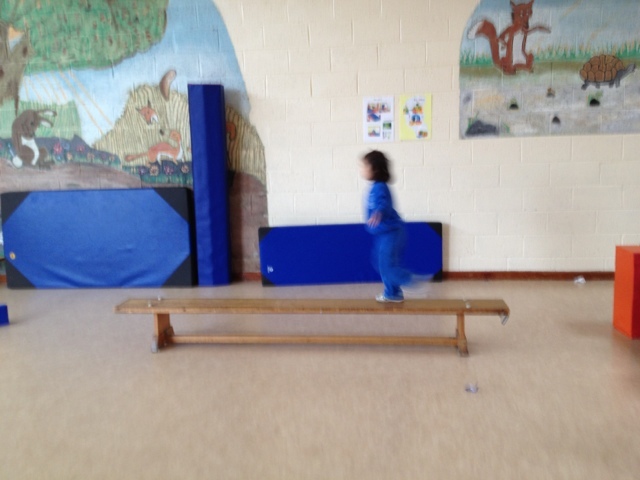 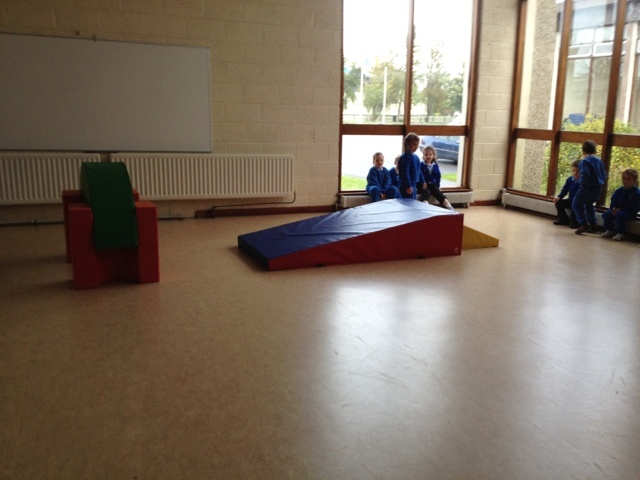 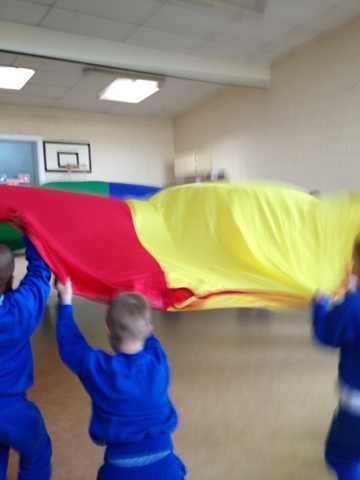 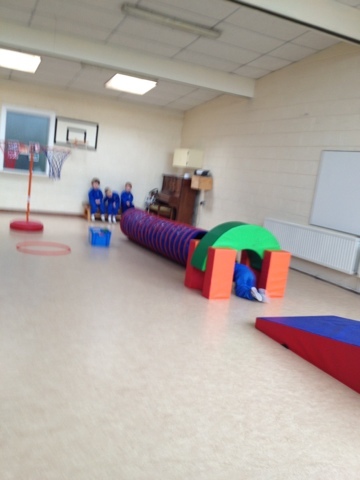 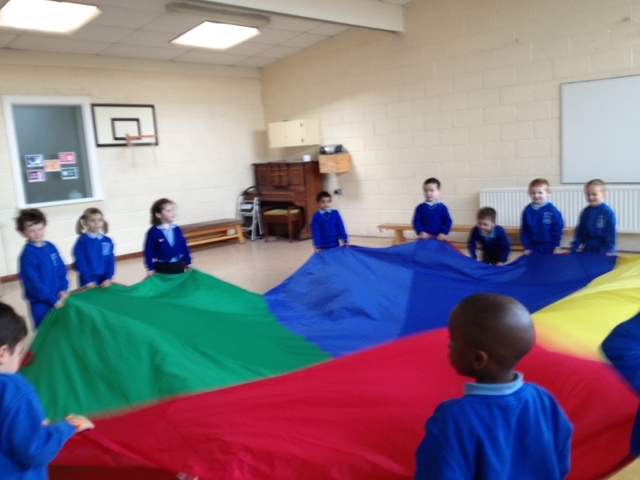 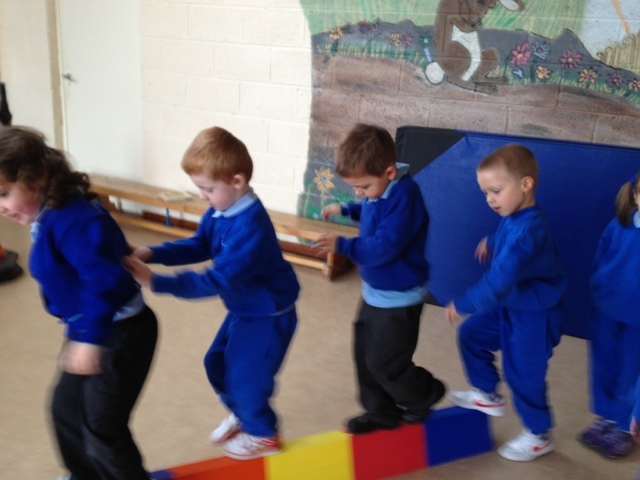 Ms Conneely's Class Junior Infants: Fun at P.E. 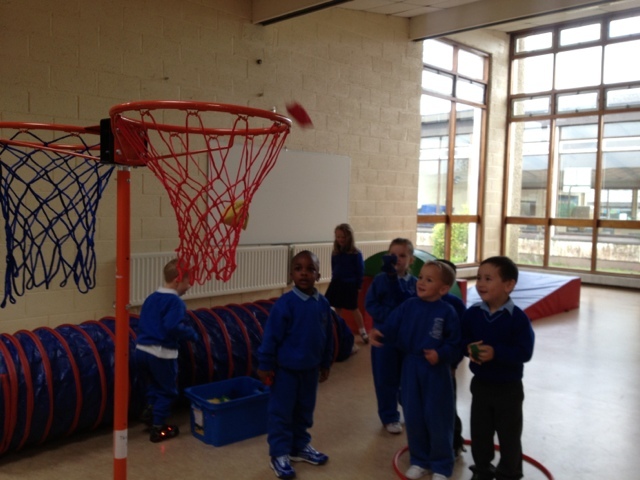 Up to now we have been learning to throw catch and balance with bean bags. 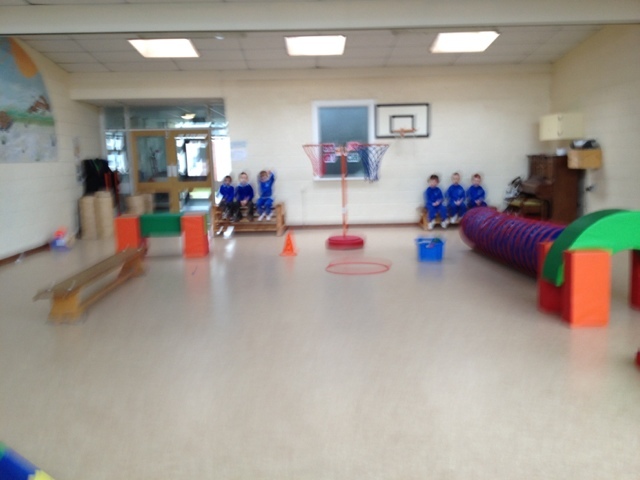 Today we had great fun putting all these skills into practice in an obstacle course. 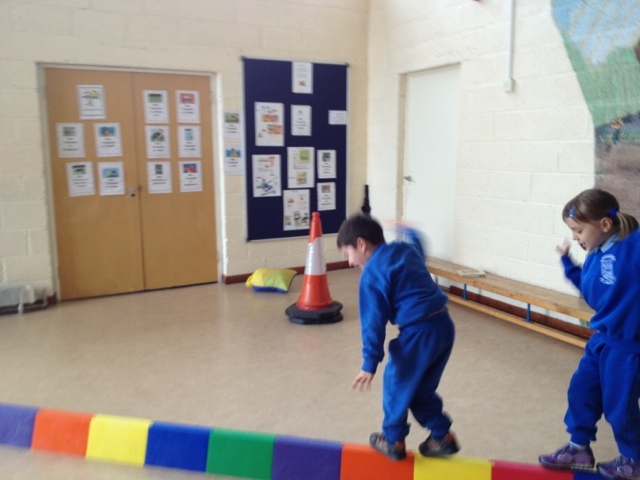 We really enjoyed balancing, throwing and catching. 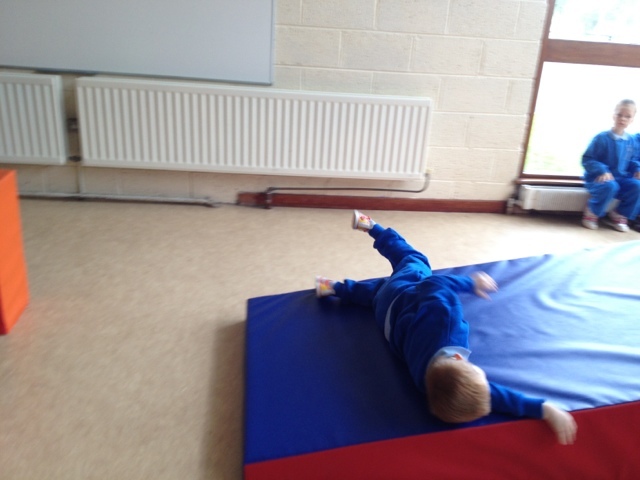 Throwing a bean bag from the right hand to the left hand and back again is an excellent tool in waking the brain up. 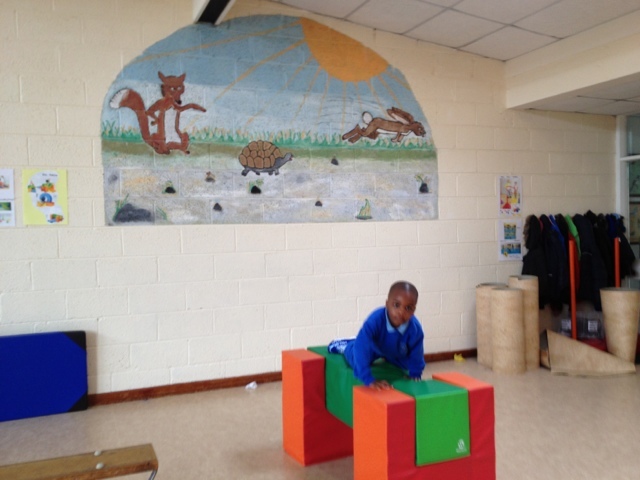 It requires both right and left sides of the brain to work together and is an excellent way of exercising the important muscle that is the brain.